Fly the Mig 29 and go supersonic ! 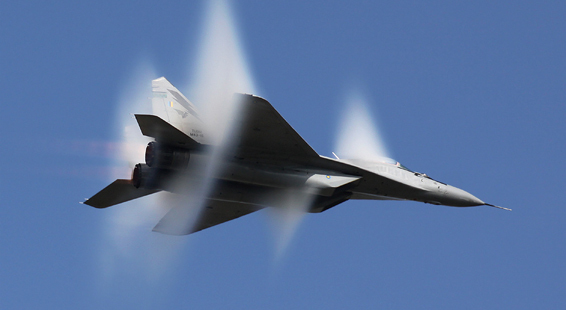 Break the sound barrier at Mach 1.1 in the incredible Mig 29 jet fighter. This jet flight is done from SOKOL airbase, the manufacturing plant and testing base of the Migs. 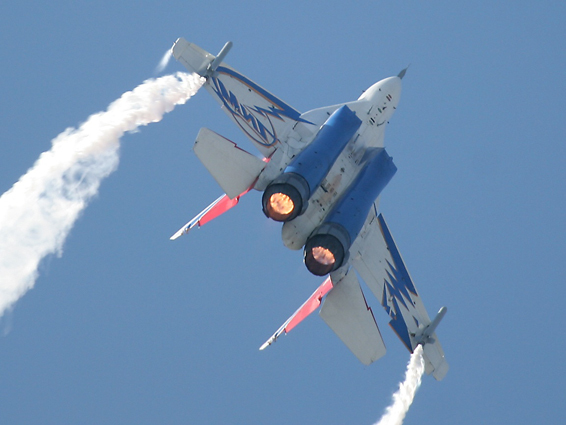 This jet fighter experience will let you feel the power and acceleration of the Mig 29, reaching Mach – the sound barrier – very easily, and then flying to normal speed for some aerobatics. You will experience up to 7Gs, doing loops, barrels, hammerhead and other aerobatic figures. This is one of the best way to feel the awesome power and agility of the Mig 29. You will be then suited with a special G suit to help you sustain Gs. You will also learn to work the oxygen mask and your visor. Your flight lasts 45mn, with a supersonic pass at Mach 1.1 followed by aerobatics. You are in constant communication with the pilot and he will fly according to your G tolerance. After your experience, you will have plenty of occasions to take pictures. You can then change and take a shower before receiving your certificate. Price starts at 13,000 euros.